Crown the very worst scifi movie ever made! It's down to the sweet sixteen and it's going to get ugly. 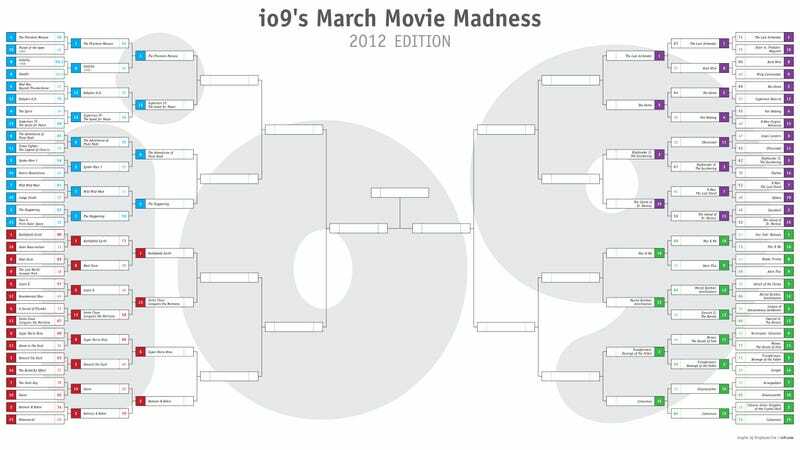 The Happening goes up against Eddie Murphy's Pluto Nash. What was the biggest upset from the last polling? Dreamcatcher losing to Catwoman! It's horrible movie madness! Madness we tell you! VOTE NOW! VOTE RIGHT NOW for the movie you think deserves the title of Worst Scifi Movie Ever Made. This round of polling ends tonight at midnight PST.